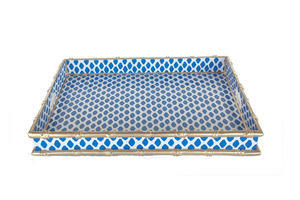 What a great serving tray in handcrafted metal toleware by Dana Gibson. A chic style with golden bamboo trim and hand holds. Dry food safe. 20"L x 15.5"W.